Located in Albany, on Auckland's North Shore, we pride ourselves on the extensive range of primary care health services we offer our patients. The cost of primary health care for New Zealand citizens is subsidised to varying levels by the government. To access these subsidies we encourage you to enrol with Apollo Medical. Note you can only enrol with one General Practice at a time. If you are not eligible for NZ funded healthcare, you will be charged at the Non NZ rate. On arrival please check-in at reception. If you are feeling very unwell, in pain, have chest pains or are bleeding please advise reception and you will be attended to urgently. If more than one family member is unwell, and you are all enrolled with our practice, you will need to book an appointment for each person to ensure sufficient time with the Doctor. If your preferred doctor is unavailable you will be offered an alternative doctor for your appointment. 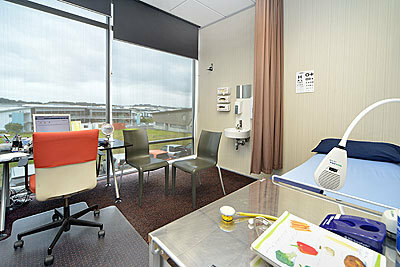 Standard appointments are for 15 minutes and we ask that you appreciate the need for the doctor to keep to time. If you need longer than 15 minutes we recommend you book a double (or 30 minute) appointment, or return for a second appointment another day. If you have a number of problems to discuss you may wish to complete our Patient Visit Sheet which many patients have found useful. To do so please click here. Specific medical examinations such as immigration or insurance medicals will require specific appointments to be booked, so please advise reception when booking these services. In addition the completion of health-related documentation, such as WINZ certificates and insurance requests need to be booked into specific appointments, so please contact reception to ensure this is done correctly. The NZ Accident Compensation Corporation (ACC) provides no-fault personal injury cover for all New Zealand residents and visitors. This insurance cover is comprehensive but does not meet the full costs of primary injury management so an ACC surcharge applies. For further information, please click here and refer to the question about ACC surcharge. Apollo Medical is increasing the number of doctor appointments. This means there are more available appointments. From 30th July 2018 there will no longer be an urgent care and walk-in service, and Apollo Medical will keep aside appointments each day of the week for you - so you can book appointments on that same day. In the reconfigured service we plan to be able to see all patients who want to be seen on the day. We are planning to manage this need by transferring all the doctor time which had been allocated to the urgent care/walk-in service back to the General Practice. So there will be more doctor appointments available. We are also holding back a large percentage of all appointments until the evening prior to the day to be used as 'book on the day' appointments. Our calculations based on past usage suggests that this strategy will provide sufficient appointments for on the day bookings. The 'book on the day' appointments are spread through the day and will be open for booking from approximately 8pm every week day evening and from close of day on Saturday for the following Monday appointments. You can make an appointment 'online' via our portal H365 at any time - NB if you have not already signed up for H365 you can do so through phoning our reception team. If you have been signed up but can't remember how to log in, please go to Health 365 page here , and click the forgot password option. Enter your email address and you will be sent a new password to use to log in. You can make an appointment by coming in and discussing with reception your ideal time to see your doctor during normal opening hours. What happens if your doctor is not available? Patients enrolled with our practice can register for our patient portal, Health365, and use this online tool to book appointments, request repeat prescriptions and view their medical records including lab results. Registration for the portal is done with our receptionists so please ask about this next time you visit Apollo Medical. Patients new to Apollo Medical will need to phone us on 477-3700 to get your details entered to our patient register. Please click here for more information on the Health365 portal and here to log in. If you think you have been registered but can't remember how to log in, please click here for the log in page, and choose the "Forgot Password" option. Enter your email address and you will be sent a new password to use. If you have not read our Process before please read it before requesting a repeat prescription, by clicking here. The ordering of online repeat prescriptions can now only be accessed via our patient portal called Health365. Registration to Health365 needs to be with the practice staff, and you may be asked for a photo identification and a current email address. Alternatively you can phone the receptionist on 09 4773700 to order your repeat prescription. You will need to provide your name date of birth, contact phone number and the medications you require. Charges: (please note we do not offer an urgent repeat prescription service - if you need your prescription in less than three working days you will need to come in and see a doctor to get it). All prescription requests for patients 14 years and older are charged based on the time taken for the doctor to review and prepare your prescription and are charged at a flat fee of $25 per patient. Patients not eligible for NZ healthcare funding will incur a slightly higher fee. You can pick up this prescription from our reception, once you have received notification that it is ready to be collected, or you can request it be faxed to your local pharmacy at no additional cost. 8am - 5pm, Monday - Friday (limited weekday evening service available). Appointments Required.